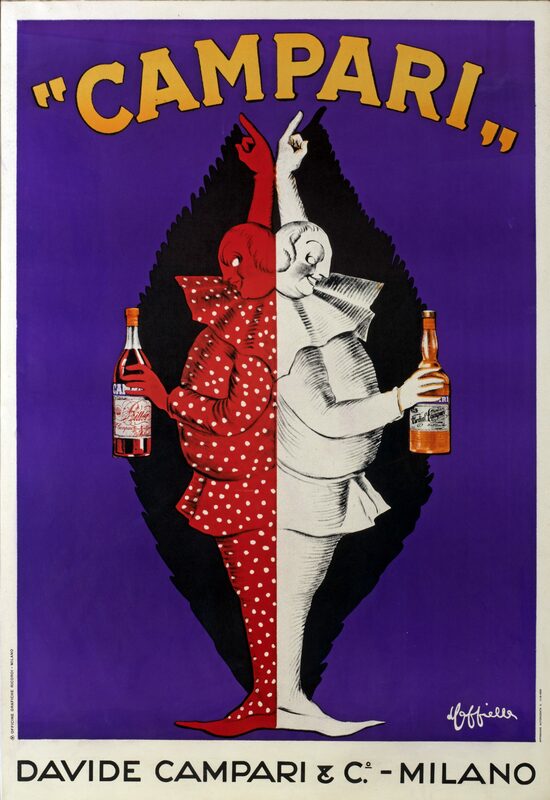 Then there are the ads, charming and iconic — from the Belle Epoque through to the 1960s, as powerful today as when they were originally conceived. 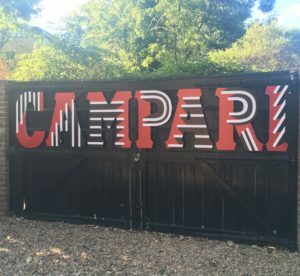 And now they are on show, around the corner from our studio in Canonbury, at the Estorick Collection‘s latest exhibition: The Art of Campari. Campari is the classic Italian aperitivo. An intriguing mix of bitters, herbs, spices and sweetness, this deep jewel-red delight is unchanged since Gaspare Campari invented the blend in 1860. 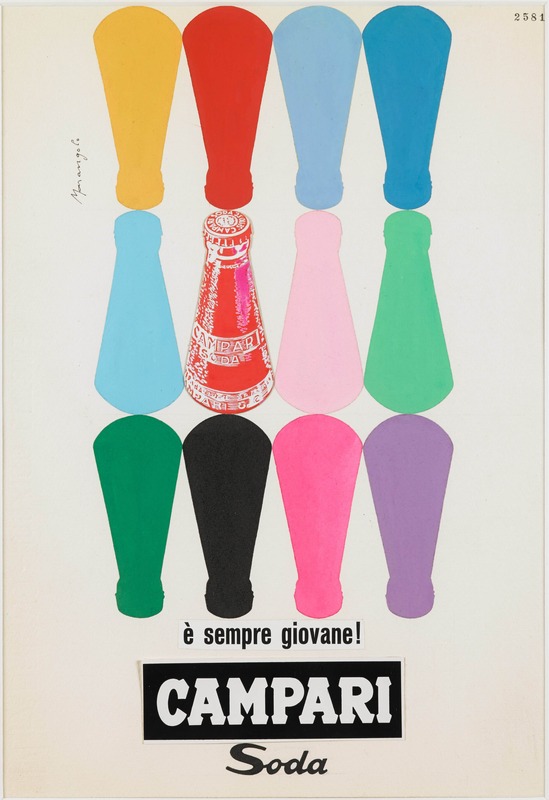 As aperitivo culture bloomed, Gaspare opened a restaurant and wine bar near to Milan’s Duomo, and in 1915 the Camaprino. 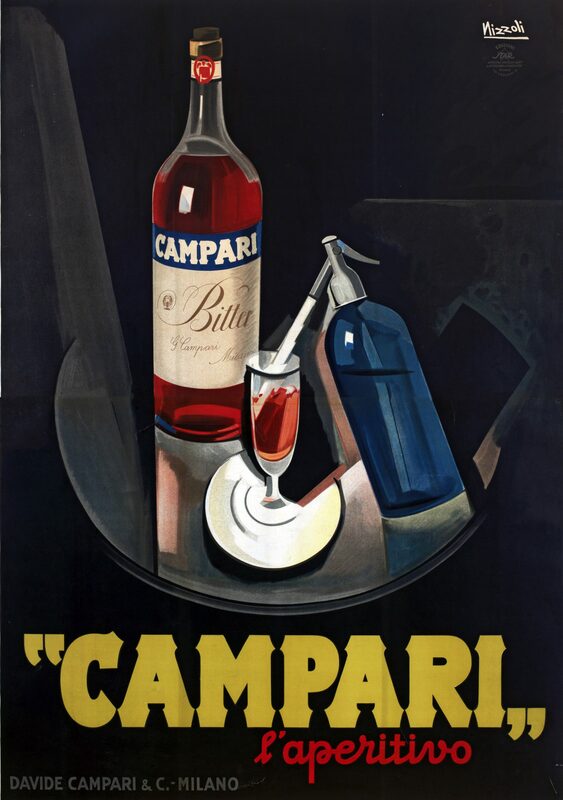 With a hydraulic system guaranteeing a stream of iced soda from the cellar, the bar revolutionised how Campari was drunk and the legend was born. 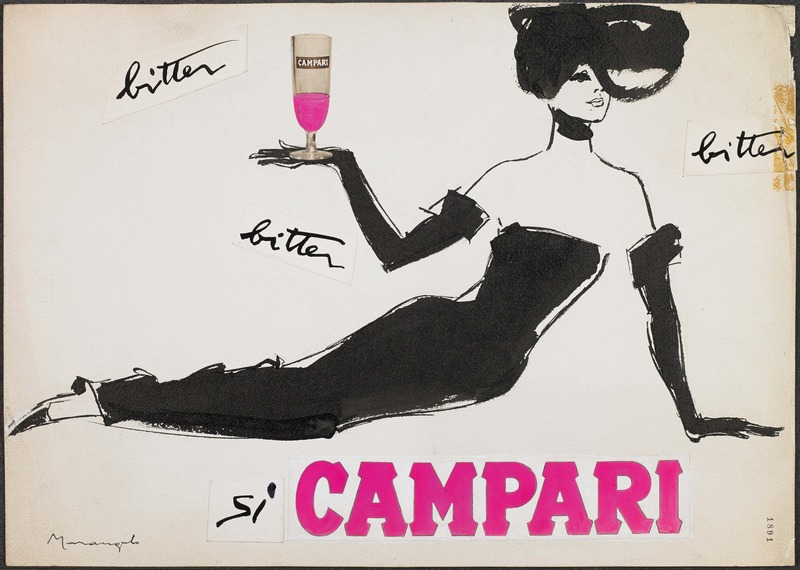 Today, Camparino remains a symbol of the city alongside fashion and design. 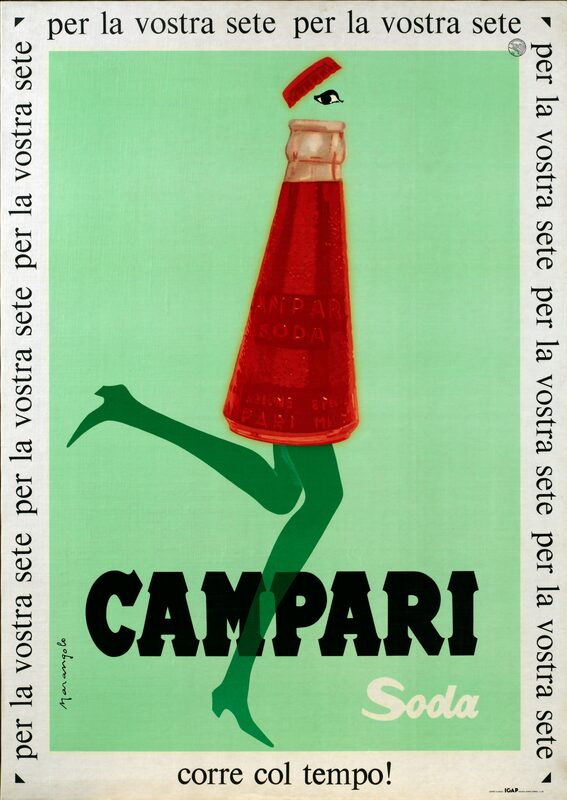 As a thirst for the drink grew, Gaspare sold to other bars, on the condition they displayed a Campari Bitters sign. That was the start. 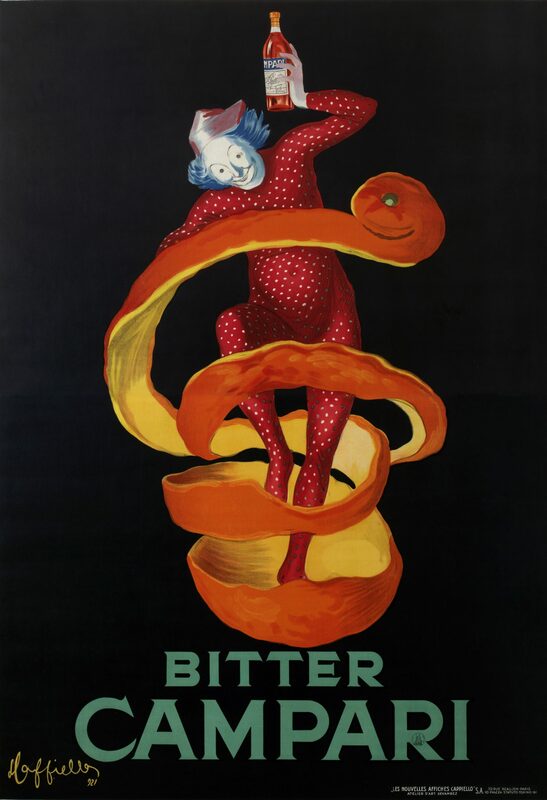 His son Davide began a more dynamic approach to advertising, working with some of Italy’s most celebrated poster artists of the early 20th century – Leonetto Cappiello, Marcello Dudovich, Adolf Hohenstein, and Marcello Nizzoli. Their strong, vivid designs visible and immediate to passers-by and those speeding by on the city’s trams. 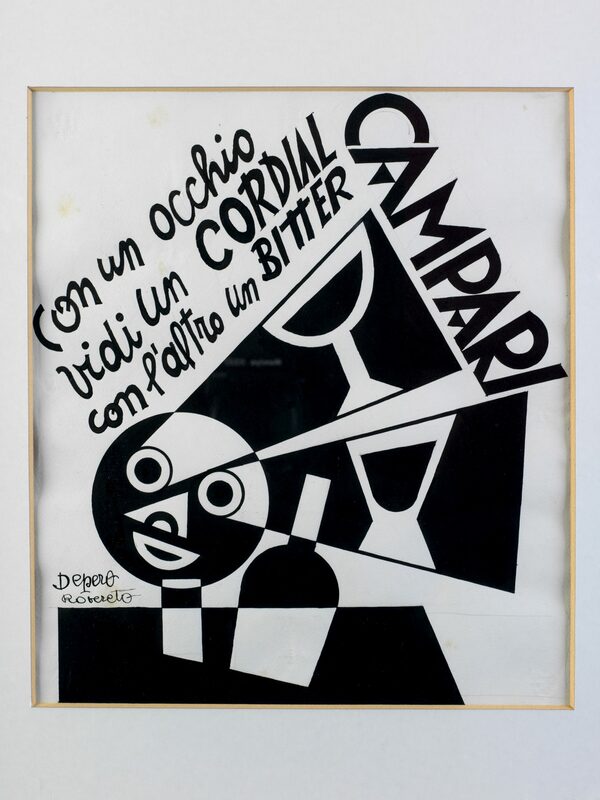 From the mid-1920s, Art Nouveau images gave way to the Futurist designs of artists such as Fortunato Depero, whose trademark puppet-like characters ushered in a more modern take. He believed ad posters were to ‘the painting of the future’. 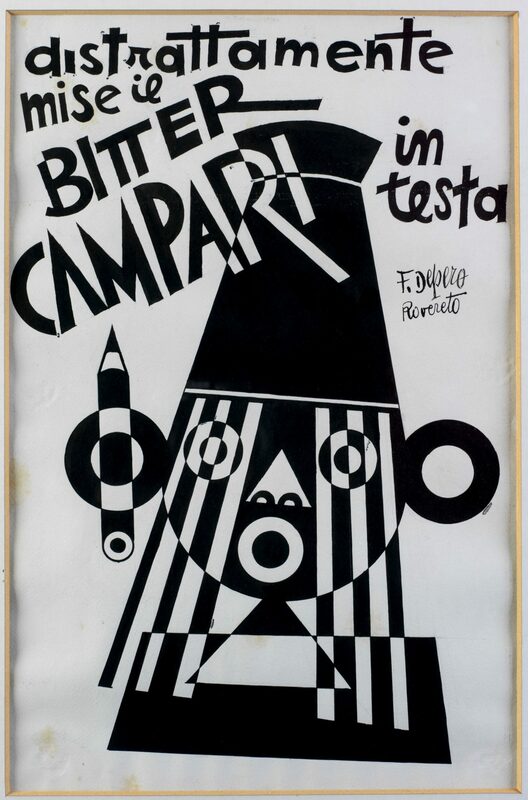 Campari too, a notion reflected in their post-war commissions, by artists such as Franz Marangolo and Bruno Munari, whose work epitomised the fun and elegance of the swinging sixties. 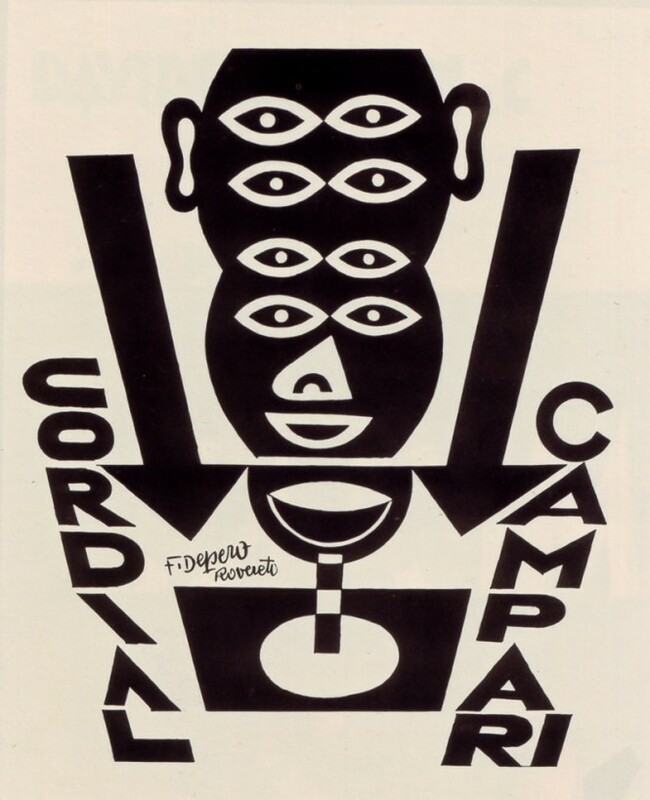 Along with the posters and drawings, there is plenty of the brand’s ephemera. We can’t recommend this show enough. If you can make it, go along on Thursday evening – it’s open late, and once you’ve seen the wonderful imagery, take a seat out in the garden, where you’ll be offered a Campari cocktail and a plate of antipasti to enjoy. Cheers!